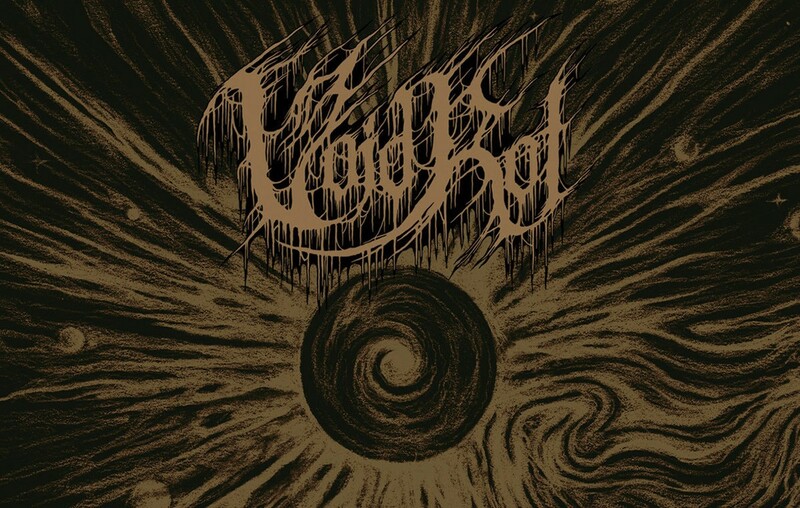 In August of last year (2018), Minneapolis MN’s VOID ROT unleashed their monstrously fatalistic début, the three-song ‘Consumed By Oblivion‘ EP. Now comes the announcement that a first-time vinyl edition of the album arrived January 9th as a co-release between Sentient Ruin (U.S.) and Everlasting Spew Records (EU). The LP will come as an etched, single sided black record housed in a custom black heavy card stock cover, with silk-screened insert done in Pantone metallic bronze ink (EU version will feature copper metallic ink). Since its initial digital release last year, ‘Consumed By Oblivion‘ has garnered accolades and recognition for the sonic savagery contained upon it. Comprised of unquestionably lethal, dismally doom enhanced death metal, this trio of tunes are profanely crafted with the intent to decimate. They do so, albeit with temporal flourishes of atmospheric embellishments, brief passages of headiness that are soon obliterated by soul-crushing deluges of aural density. This ternion of tunes, the studio recorded assault and battery delivered by way of “Ancient Seed“, “Consumed By Oblivion“, and “Celestial Plague“, yields a relentless pummeling. Thinly disguised homicidal rage set to music, enveloped within massive, yet majestic dirges that are capable of eviscerating any human within earshot… enjoyably so, of course. Designate yourself as the human target for this seemingly masochistic audio adventure by means of the embedded ‘Consumed By Oblivion’ stream in this review. There are several options for further streaming, digital format purchase, and vinyl LP purchase available at the links provided below.